If you are looking for a unique wine experience, The Vineyard Wine Market and V2 Room is that place! I met owner, Anthony Alvarez in 2006 when I moved to the area. The Vineyard Wine Market is located in The Shoppes at Powers Ferry shopping center on Powers Ferry Road. Their wine shop and gift store serves Cobb County, Kennesaw, Marietta, Smyrna and the Vinings area of North Atlanta. Anthony Alvarez moved to Atlanta in mid-2005. Although he owned a bar and restaurant in the past, he wanted to share his passion & love for wine with others and his local community. "I am committed to the education of wine." 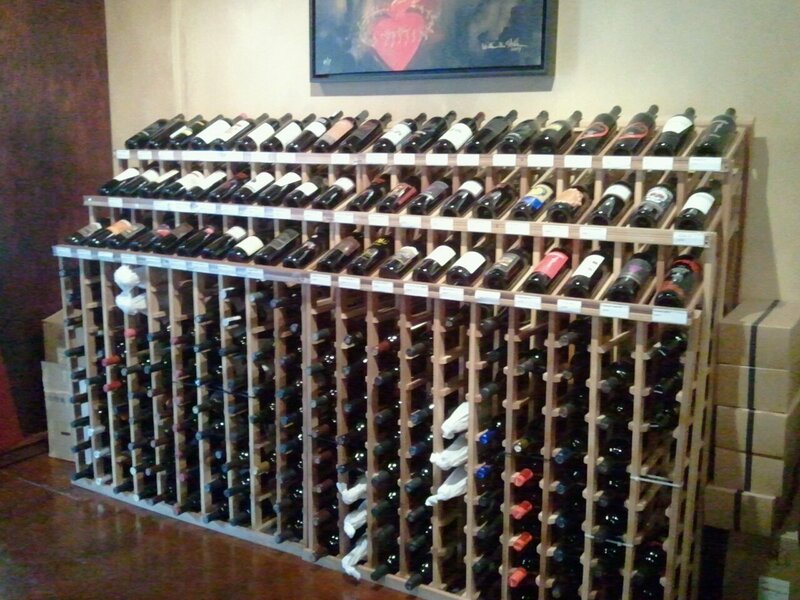 One of many racks of wine to chose from! The Vineyard Wine Market and V2 Room offers Friday night tastings, along with several other weekly events. The store also hosts special events for companies and local businesses in the area. The store is on track to hosting over 40 different wine makers from around the world showcasing in a public tasting. Boutique in nature, you will not find the "average and common" bottle here. 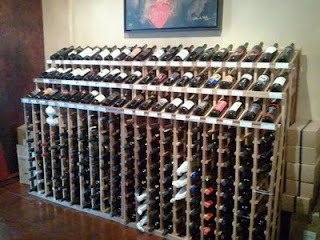 Personally, with over 500 labels of well crafted wine, that is what attracted me to Anthony's store. I can always walk through the door, be greeted and offered a unique wine selection. The wine market is cozy, warm and has an "inviting" feeling-with couches and art. The Vineyard Wine Academy is now the new home of the International Sommelier Guild (ISG) here in Georgia. The ISG is the only Sommelier certification course accredited by the Georgia Board of Education. 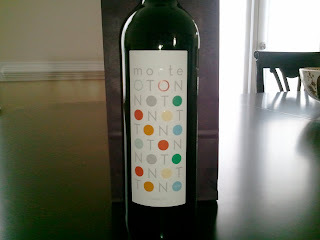 Anthony's top two choices of wines under $20.00 are the Mo Zin 2008 from Spann Vineyards (a red Zinfandel) and the full-bodied Jermann Pinot Grigio (an italian white).